Create And Customize Web Signup Forms: Can I Have More Than One Signup Form On a Website? 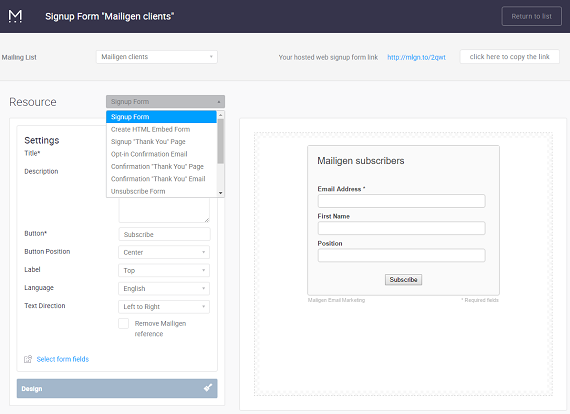 Browse to the Form and Email Design Wizard by selecting the Web Signup Forms option from the Lists Menu. Select the Create HTML Embed Form from the Resources Drop down. Design and modify the form as you see fit. That will create a single signup form. To create another simply make modifications to the form. 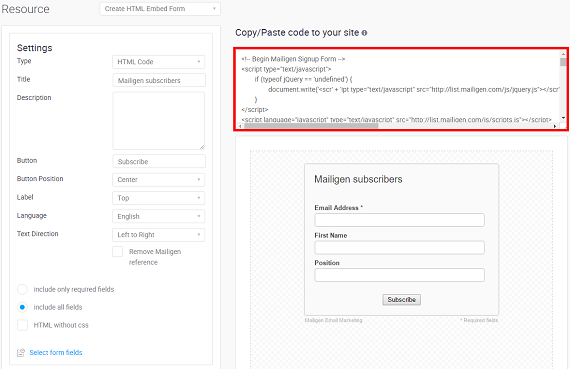 You can also paste the same sign-up form code multiple times into the same website.